We were delighted to be hosted by Cartrefi Conwy in Abergele for our Equality, Homelessness and Prevention Seminar, and it was fantastic to see some of our North Walian members as well as plenty of new faces. 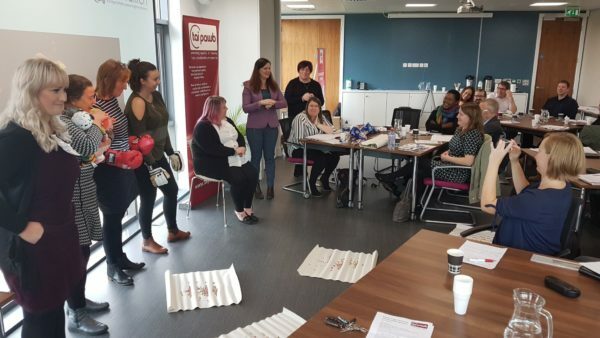 The seminar focused on issues and solutions related to the equality, diversity and human rights aspects of preventing and tackling homelessness. We wanted to consider the ways in which recognising and responding to diverse people’s needs is central to the culture of organisations working in the context of relatively new homelessness duties, welfare reform, under-supply of social housing and increasing poverty. The seminar certainly started on a powerful and emotional note as Melissa, who has been supported by the Wallich, told us her difficult and emotional story of abuse, discrimination and trauma. Melissa also talked about regaining courage thanks to the person centred, open and rights focused nature of the support she received from the Wallich. Starting on such a personal story focused everyone’s minds that homelessness isn’t a statistic, and the story behind every case is human, unique and complex. The Wallich CEO, Lindsay Cordery-Bruce, was also on hand to talk about the importance of rights, self-definition and the application of existential world view theory in the Wallich’s culture, which takes the understanding of diversity into a new level, far wider than the focus on the needs of people based on their protected characteristics. This opening presentation finished with an activity where volunteers were asked to pick up as many pieces of power and influence (Smarties) as they could from the floor. Each volunteer was given barriers such as being in prison (not being allowed to take part), childcare responsibilities (holding an armful of stuffed toys) or knowing someone on the inside (being given the Smarties before anyone else has started). This was great fun, but reinforced the important and serious message that having the same opportunities did not guarantee equal access and results. Hugh Russell, of Llamau and Ending Youth Homelessness Cymru campaign, spoke about the stark research showing how LGBTQ+ young people are more at risk of homelessness. Hugh considered what still needs to happen for agencies to be equipped to understand and respond to the specific situations LGBTQ+ young people may be facing. Research showed that the support offered was very inconsistent with some agencies not understanding the basic equality premise of offering additional or different support to those that might need it. End Youth Homelessness Cymru are embarking on their own research to get behind these figures to find out the specific causes and what could be done to improve the lives of the young people in similar situations in Wales in the future. 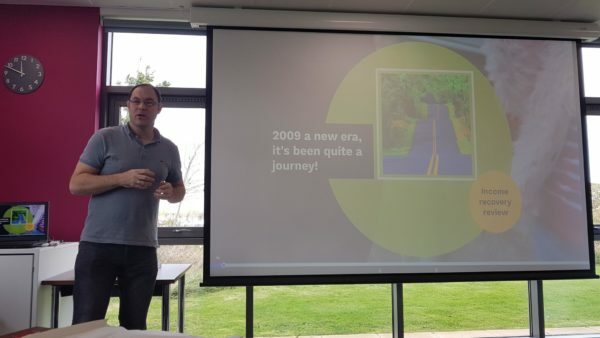 Hafod Housing gave a very detailed and frank account of how they’ve improved their services in order to make tenancies more sustainable and the way they’ve used data over the last 10 years or so. They became aware their tenant profiling was not up to scratch and embarked on a mission to collect as much data as possible, but importantly, planned to use it constructively to change the way they work. They learnt to be much more adaptable to tenant’s needs and revise the way they offered services. 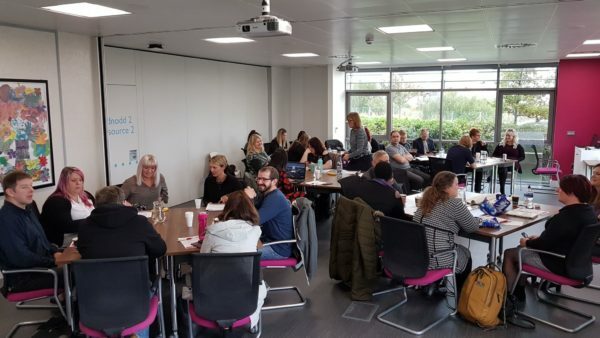 As a result of this work they decided to recruit Neighbourhood Coaches with a remit to know and understand 200 tenants each in order to build trust and give a human face to their work. Mark Pearce talked about the huge strides taken by Gofal working on site at a challenging estate in Risca. Mark works in that community to support the tenants of 84 flats across a range of needs. He has taken a personal interest in every tenant, supporting people’s mental health needs and building a reputation as a trustworthy and fair individual that can not only help with crisis situations, but empower people to make better informed decisions. His presentation continued the theme we had seen so far of taking a person centred and rights based approach. The needs of each individual are unique and Mark approaches each tenant in this way. All of this personal support has led to an improved sense of community, better chances for employment and less interventions by council workers and the police. Wanjiku Ngotho-Mbugua from BAWSO talked about how she supports BAME people across North Wales and many issues she deals with put people at a higher risk of homelessness, including domestic abuse, modern day slavery and trafficking. Wanjiku showed that homelessness in BAME communities was proportionately higher than the population as a whole. According to Wanjiku, it was easy to overlook the needs of BAME communities in North Wales due to the relatively low population, however these needs are often more pronounced due to the isolation that BAME communities in rural areas can experience. Her recommendations echoed Hugh Russell earlier in the day and included a better understanding from support providers of specific issues and increased recognition of ‘hidden homelessness’. 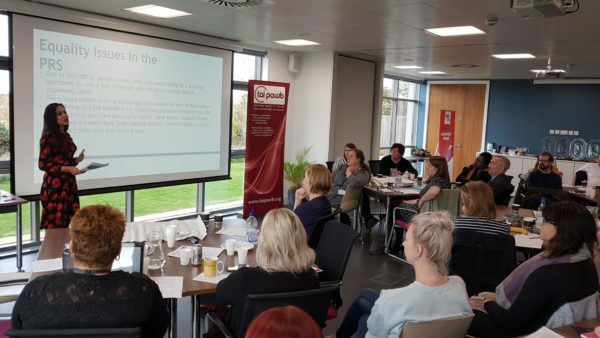 To discuss the private rented sector (PRS), Nazia Azad-Warren, Open Doors Project, and Judith Jenkins, Conwy Borough Council, gave separate but complementing presentations with case studies. Nazia talked about some of the ways discrimination could happen and what forms it takes in the PRS, including a video of a now infamous clip of a 1,000 home landlord who tried to refuse to let to Asian families. Judith followed this by looking at the landlord’s point of view, and their perception of risk in relation to homelessness. She emphasised the regulations and bureaucracy that landlords had to deal with, the majority of them being ‘accidental’ landlords, i.e. people that own 1 or 2 properties and had not planned to become a landlord. 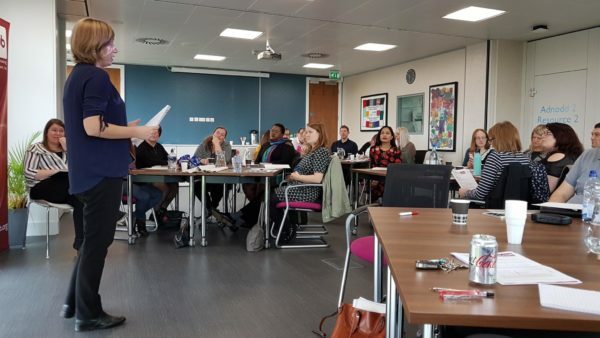 Approaching landlords as potential allies rather than problems can help give tenants a better experience, as demonstrated by a case study provided by Judith. Finally Tai Pawb Director, Alicja Zalesinska talked about the importance of better collection and use of equality data, reflecting on the recent Wales Audit Office and Welsh Government reports on homelessness. This led to a discussion on equality monitoring generally, an issue that had been mentioned a few times in the day. 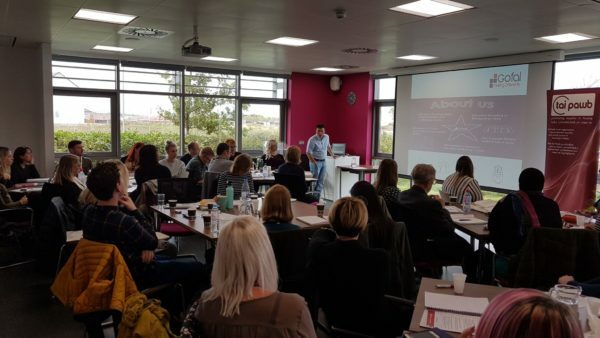 Alicja explained the rationale behind collection and explored potential uses The group discussions that followed addressed challenges and potential solutions with a commitment from Tai Pawb to to continue working with local authorities on this issue. We were very glad to meet our North Wales members, as well as those who also made the long journey to Abergele from the South and are looking forward to furthering our work on rights-based approaches to equality, supporting tenancy sustainability and equality data.